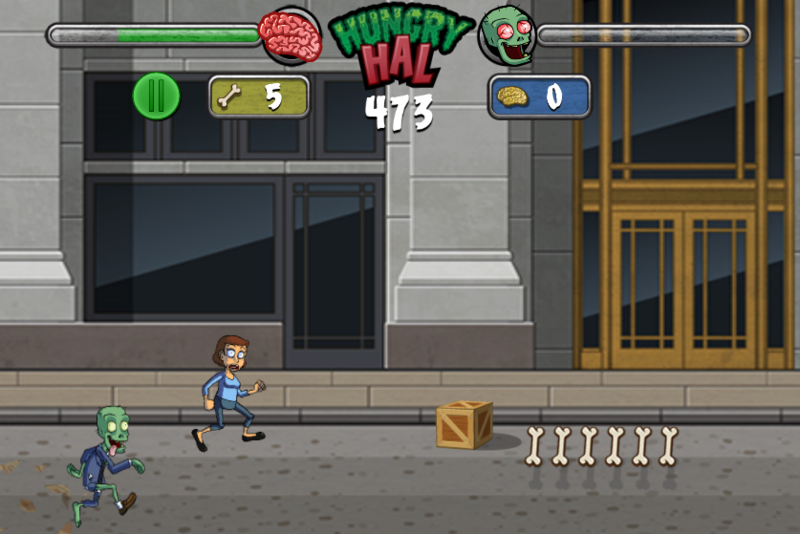 Hal is a hungry zombie and looking for the fresh brain to stay alive. Being a zombie is not his fault, the fault is that he was in the wrong place at the wrong time. Hal is in the crazy adventure and his goal is to get to the end and live like everyone else. 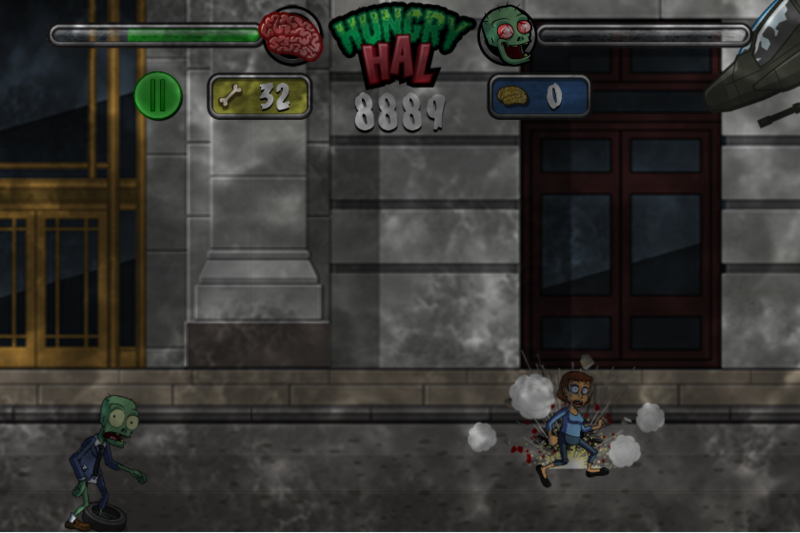 Hal is a hungry zombie and looking for the fresh brain to stay alive. Being a zombie is not his fault, the fault is that he was in the wrong place at the wrong time. Hal is in the crazy adventure and his goal is to get to the end and live like everyone else. 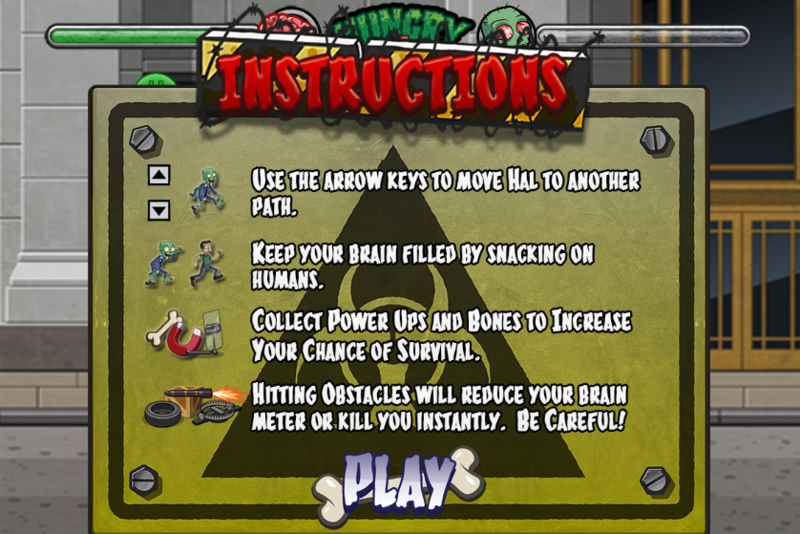 Your mission in Hungry Hal game is to help him run and get human brains. Hal moves between 3 paths and on these paths, there are obstacles which Hal need to avoid. On the way, help Hal collect as many bones as possible to buy powerups. Let’s be the first one to unlock all achievements and get the best score. The game will give you exciting experiences and it is no doubt this game is worth trying. Enjoy the game and have fun! 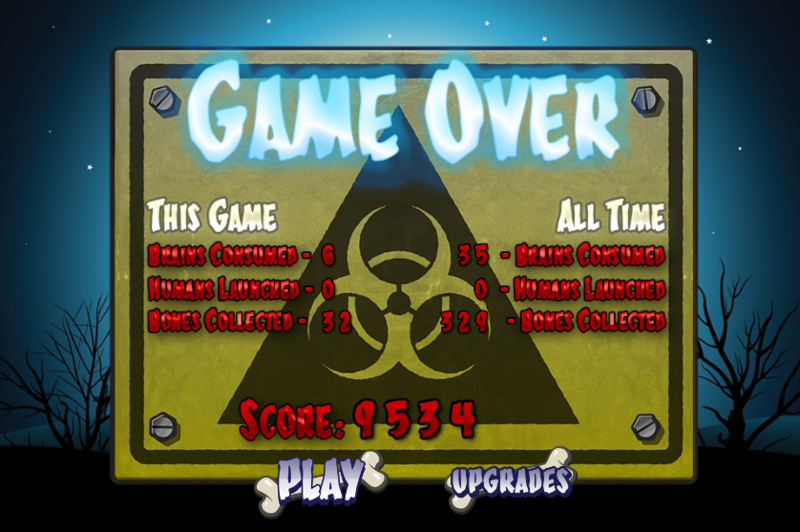 This is an addictive endless runner game to challenge players with 5 increasingly difficult levels. Cool and funny graphics with real sound. Awesome power-ups to support for players. This game is developed for play and download for free and compatible with all devices: iPhone, iPad, Android, Window phone and all desktop browsers. 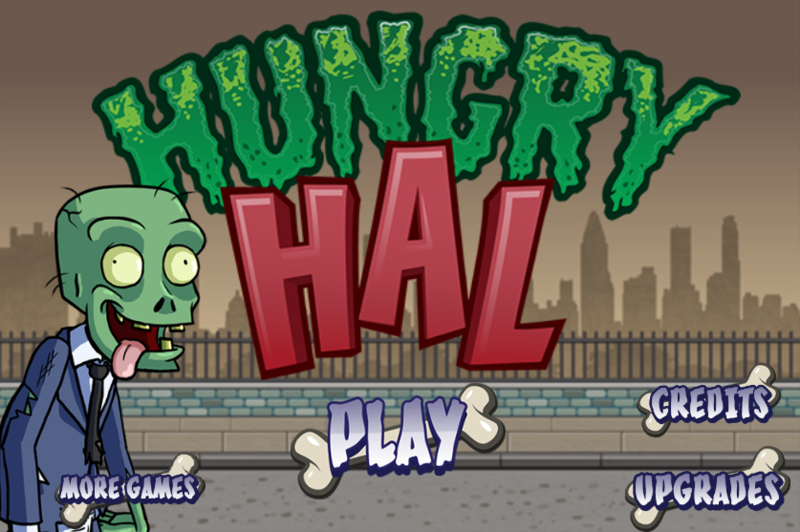 Free games for kids, play game online free, download game free, game hungry hal, 123 arcade games free, new games for boys, play Hungry Hal game, zombie game on 123addictinggames.com.